Your application is in a potentially explosive atmosphere with limited installation space? 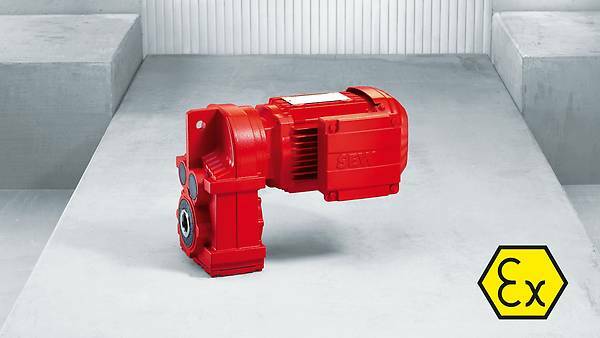 That’s no problem with the slim, ATEX-compliant gear units of the F series in a power range from 130 Nm to 18,000 Nm. Our explosion-proof parallel-shaft helical gear units are assigned to equipment categories II2GD. A wide range of mounting positions and variants enable a broad range of applications. Gas and dust atmospheres are no problem, even under difficult conditions. All that, without having to compromise on the performance. What many of our gear units offer: long service lives without maintenance and wear-free gearing with a high fatigue strength. With a high torque rating from 130 Nm to 18,000 Nm, our parallel-shaft helical gear units with explosion protection offer great performance in many conveying and processing applications. You can choose between foot, flange or shaft-mounted options. For precise positioning tasks, our parallel-shaft helical gear units are available with reduced backlash. Only half the solution without a motor? Then use our sophisticated modular concept and combine the explosion-proof gear units of the F series with the explosion-proof motor of your choice. due to a slim and compact design. 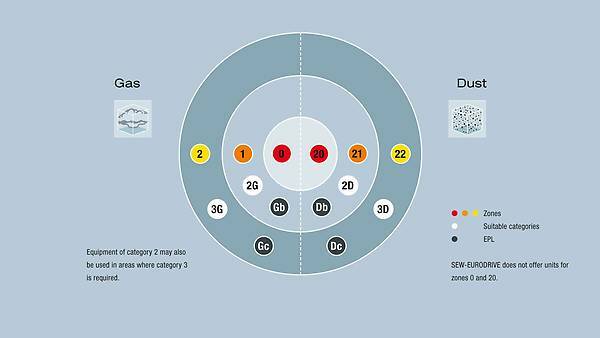 thanks to 11 frame sizes from type F 27 to type F 157 and numerous variants for very different requirements. even in the reduced backlash design with output torques from 200 to 18,000 Nm.